What is a Seder Meal? The Seder is a Jewish festival meal marking the beginning of Passover. It retells the story of the Jewish exodus from Egyptian slavery. The word “Seder” means order, and during this meal there is an order to the entire meal, which includes readings, songs, stories, and special foods that carry meaning within themselves and tells the story of the exodus. For our Jewish friends it is a time when the entire family comes together to celebrate the beginning of Passover. This was the meal Jesus was sharing with friends at “The Last Supper”. We will have a symbolic Seder meal on Thursday April 18, at 7:00pm in the Fellowship Hall. Everyone is invited to this special night, Kids too! The meal will conclude with Communion. 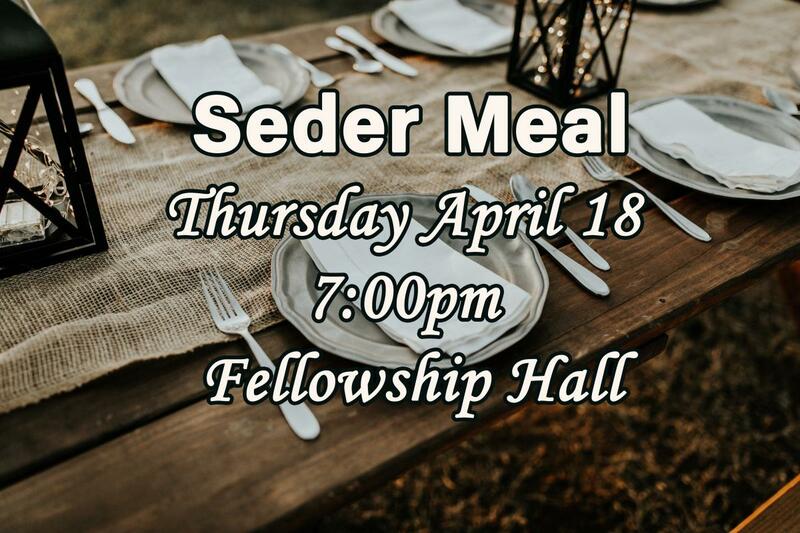 Everyone is invited to this Seder meal, but you must register in Realm to RSVP by Monday April 15. Any questions can be directed to Tonya Boot at tonyaboot@pchum.org.